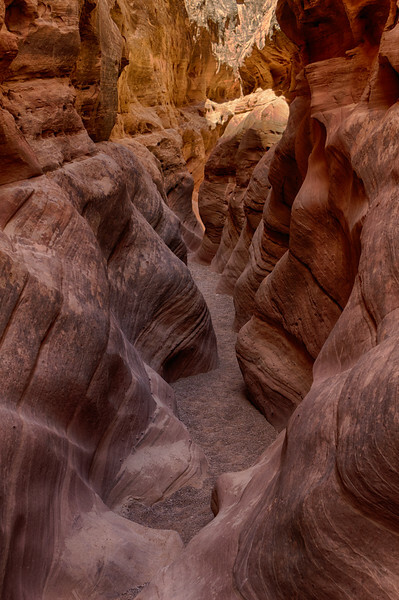 Little Wildhorse Canyon is a popular, non-technical slot canyon on BLM land, near Goblin Valley State Park. It's a great day hike, and can be made into a loop by combining it with nearby Bell Canyon. This photo was just a few feet away from the "Ripples in Time" photo...showing how quickly the character of the rock changes in this slot canyon.